A power of attorney is a legal form that lets you, as the principal, give another person, called the agent, power to perform certain tasks for you. It can be a very important tool in financial planning because there may come a time when you lack the ability to make your own decisions about your financial affairs. 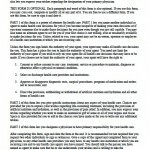 If you do not execute a power of attorney, your family will have to petition a court to take over your financial or healthcare decisions. 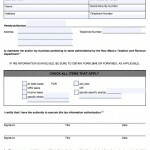 This can take a lot of time and money to complete, and your family will not necessarily know how to manage your finances according to your wishes without a power of attorney form. 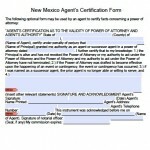 In New Mexico, a power of attorney is durable unless it expressly states otherwise. 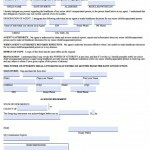 This means that the document will continue to be valid after the principal loses the ability to make decisions. 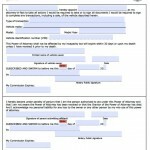 New Mexico also recently made it more difficult for institutions not to accept powers of attorney by allowing the institution to be subject to damages. 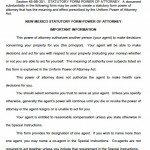 Download or read the entire New Mexico Uniform Power of Attorney Act for exact rules about laws within the State.